All of the below information comes directly from job reviews written by CRODA employees based on 92 reviews. 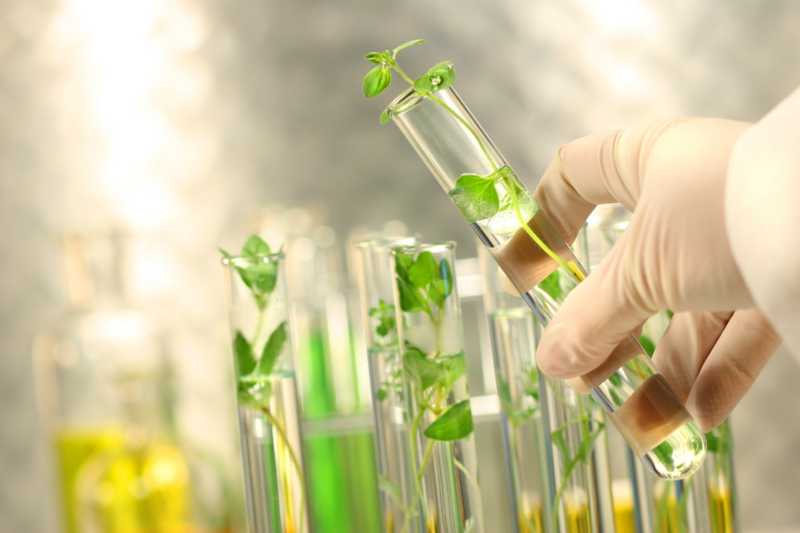 Founded in 1925 we are a global specialty chemical company inspired by nature and committed to sustainable innovation which we apply to all aspects of our business. We produce the most innovative, naturally derived specialty chemicals in the world, and our pioneering products are vital to many leading brands. We are committed to minimizing our impact on the environment, developing our people and supporting local communities. We pride ourselves in the collaborative relationships our people have with our customers and their ability to remain close to them through local operations. We believe in turning challenges into opportunities and we are passionate and excited about how we can develop and utilise new technologies to shape and inspire changes within the dynamic market sectors we work in. We have a number of capital expansion projects and collaborations with over 35 universities to accelerate innovation. Whilst we continue to evolve, our vision is to remain an independent company operating as one global team in a stimulating and exciting environment where all employees have the courage to question and all individuals are valued. Our graduate programmes are a fantastic opportunity to be involved at the core of a fast paced business which provides real hands on training. On any of our graduate programmes you will be highly visible within the business and given real responsibility from an early stage that offers the chance to help solve issues both on plant and in the wider world. Be yourself at the assessment centre, know the fundamentals and make sure you communicate well. Soft skills are just as important as technical knowledge. Make sure you demonstrate those as these are the things that will help make your application stand out. Everyone applying for the role will have the same/very similar qualifications - it's what you do outside of that which is almost more important. Always back up the skills you say you have with examples of where you've used said skills. Relax, be yourself and try to enjoy the experience. Croda are looking to see who you are as a person, and are not trying to catch you out. Be yourself, the interviews are straightforward and there shouldn't be anything that will catch you out. Croda like individuals with drive and a passion for science. If you don't have any previous relevant work experience, I wouldn't worry too much, I didn't have any and I got the role! Relax and be yourself. The assessment centre consists of a few different tests. The main interviews feel more like an informal chat with a friend. The group exercise will try and get you to show your influencing skills without being too pushy. Think about teamwork/people stuff as well as technical. The process is designed to test your skills, but the company also values people and is a sociable company. The assessment event is designed to help you relax and has many opportunities to show who you are and your skills. There are many roles at Croda, from engineering to labs to marketing, so there is no one profile the company looks to recruit. Again be relaxed and prepared to answer using the STAR technique for many questions, as well as knowing what attracts you to the company and role. Show that you are hard-working and enjoy challenges and responsibility. The interview is a three-day assessment centre, but relax, be yourself and be considerate of other people at the centre and you should do fine. Really show your personality and that you are enthusiastic about the company. Being interested in the social side of things is key as Croda has a big social community which engages in activities over lunch/after work. Talked through my CV, a general bit about my hobbies and interests and a small amount of competency questions. The interview was very informal and more of a chat situation. Very comfortable and not much pressure. It is worth learning about piping networks and different components that are used in them. It is also useful if you are free to move location as the graduate development program means you move sites after each of the three rotations. The process involves an assessment centre which spans 2.5 days. I believe that a good candidate is one who can think through an issue and present their opinions/decisions in a clear and effective way. Always relate your application answers to STAR (Situation, Task, Action, Result). Although its important to say what you did, its even more important to say how you did it or how you achieved your goal. With your actions, try to relate them back to your values and how they may align with the company's values (the Croda Vision). Be yourself and be honest. The interviewers are really friendly and are not trying to catch you out. If you want preparation reading for the interview/assessment day, then downloading a copies of the "Annual Report" and "Sustainability Report" from the Croda website are a good way to go. Do your best filling in the form and use a variety of experiences. Previous work that you have done (university or job related). You should know whether you want to be based just in a lab (technical scheme) or have a mixture of both lab based and commercial placements (graduate development scheme). Any lab work experience (industrial placement/internship) is an advantage. If successful you should be prepared to move to different locations every 9-12 months during the scheme. A 2 day assessment centre with various tests and group exercises so if one does not go that well do not panic. At this stage all candidates will have good academic results and probably all have lab based work experience so you need to show Croda why you would be a good fit for them. Research the different market sectors. Know some basic organic chemistry. Have real life examples of the required competencies. Make sure you prepare in advance. Research the company. Link your skills and qualities to what the company look for. Be honest, be yourself and throw yourself at every opportunity that comes your way to develop and improve your skills and ability. Include a wide variety of experiences that you have to show that you are able to adapt to different situations and work with a wide range of people. This will demonstrate your energy and motivation to achieve results and reflect the culture that Croda has in becoming the world´s most innovative chemical company. Most of all, make sure you enjoy what you do! It is important to be happy in your job position so you not only you thrive but this energy rubs off on others around you. Prepare, know your CV and practise general questions beforehand, such as Why Croda? Why chemistry? What do you think innovative means? You will be at an advantage if you have previously worked for a chemical company e.g. industrial placement. Do your research before applying and make sure you fully understand what the questions are asking so you can tailor the answers. The interview is a 2 day assessment centre – it is intense but the assessors are friendly and don’t try to catch you out. Croda are looking for people who are a good fit above all else, but you should brush up on chemistry/engineering relating to company products (eg. esters) before the interview. Being yourself and showing a genuine interest in the company will get you noticed. Do some basic research of the business before applying. Although the graduate scheme is very flexible and adaptable it's better to have an idea if you want to apply for the technical programme of the graduate development programme which allows you to rotate between technical and commercial roles. The assessment centre is a 3 day process where you will get to know the other candidates and the assessors well. Be yourself and enjoy these days, this time is as much about finding out if you want to work for the company as well as the other way round. Be enthusiastic and adaptable, social and friendly and be genuinely interested in the company. The interview system is really good as it's a flowing conversation instead of just a bunch of questions from a generic form. Be positive about your skills, but mainly just have a conversation. Also be prepared to answer what kind of a person you are! Read up on the company and basic chemistry before the assessment centre. And try to be yourself, as cheesy as that sounds. Croda appreciates flexibility in location - being able to work in multiple locations is a must. Emphasise any languages you speak and your willingness to learn others. Show that you have a varying knowledge and interest in Science - Croda's business sectors span the entire consumer and technical industries out there. A first class degree isn't necessary, but you must hold at least a 2:1. Other than that, show that you're a human being with character and that you work hard. Be yourself. As cliché as that sounds, the assessment centre is about looking for someone that will fit into the Croda ethos - someone who can work with people to get what they want, someone who leaves a pleasant and lasting impression on people. Croda works best when there is good communication between departments and this is perhaps more important in the interview than grades, literacy or presentation skills. If you do badly in the assessment centre for one or two tasks, you may still get the job if you make a good enough impression. Be honest about your level of experience. Try and have some relevant work experience, but it's not the end of the world if you don't. Have an interesting job or trip or experience that you can talk about in your interview. It sounds cheesy but 'be yourself'. In an interview, the assessors are looking to see that you have a personality and have original thoughts in your head. I didn't have much work experience, compared to other candidates, but I was relaxed and chatty in my interview and felt like I was making friends with my interviewer and it paid off. Be yourself and try not to put on a facade. Brush up on presentation skills and technical knowledge. Expect to do a group task. It's a 3 days assessement so be yourself and don't give up if one of the exercises didn't go so well. Dedicate time and effort to answer the questions and tailor them towards CRODA as much as possible. As everyone says, you should be yourself to find out if you and CRODA really are a good fit for each other. Graduates in Croda’s graduate scheme all have very different personalities and working styles, so there is no a model to follow other than your own. The assessment centre takes 2.5 days. It includes many exercises/interviews: technical, presentation, personal, writing, group discussions, etc. Do not give up or get down if any of these exercises do not go as well as you want. Just be enthusiastic, get involved and enjoy it as much as you can. The Croda website gives a lot of information on key product lauches and general information about the company. Working together with the other applicants during the 3 day process is important as the company are looking for team players with good comminication skills. Read about the company and find out what it stands for, this will help you greatly in appreciating some of the questions in the application. Don't treat the interview as a verbal test, use to find out about the company just as much as the company wants to find out about you. Just the same old application form that you will copy and paste your answers from all the other application forms you do. If you want to know how to do a good application form in general, I think it is all about saying how you have developed through the experiences and achievements you have had, not about stating how wonderful a human being you are. Now this is probably the 'best' bit about Croda. If you approach it in the right way, the assessment centre can be a joy. It's a 2 day, 2 night, event which you will see, first hand, the variety of personalities and people at Croda. Embrace the venue, the assessors, the hr people and especially the candidates. As getting along with the candidates and working well together just might mean you all get a job. 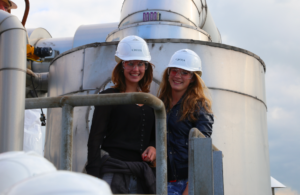 Having work experience in the chemical industry can be helpful. For example a year in industry or a summer placement. The interview is over 3 days. Although there are a lot of assessments the interviewers make sure it is relaxed and not too intense. Research the company, be yourself and be open to the possibility of moving across the country and/or to different countries. The interview process is quite long, so they really have the time to see the real you. Just be yourself and don't worry if one part goes wrong as there are many elements to the assessment. Croda hires graduates based on academic and technical competence but also, very importantly, on how YOU are as a person. It's a company that has a 'family run' feel to it (in a good way!) and is looking for graduates that fit into its ethos. Genuinely, seriously, honestly: just be yourself and enjoy the experience. Also, brush up on your knowledge of pumps. Just be yourself, if you are friendly and can talk easily with people, then that is a lot of what the company is looking for. Many of the usual questions such as 'Tell me about a time when you showed leadership qualities' and strengths and weaknesses. Read up about some of the products and areas that the company is involved with. As it is a rotation scheme, give every placement a go by working in different departments, even if it's not your area of knowledge or interest. I regret being in the same department in almost my three rotations, and reckon if I could go back in time, I'd rather try or give a go to others like QA or SHE. Research the company before you apply and be enthuastic about why you think you'd fit in here. Be yourself - the assessment centre lasts 3 days so you can't pretend to be somebody else; relax and try to enjoy yourself. Check the company is right for you. The company at the time I applied wanted people who are confident, innovative and are genuine team players. Use a variety of situations to demonstrate your competencies. If you speak an European language, say so, if you are willing to learn for the sake of the job or for another reason, say so. The interview is usually the easiest part of the assessment. I had the longest dynamic interview, I think the primary interviewer went off planned script to see if I were for real too but just give examples of how you've used your competencies from a wide range of situations and show that you will do the job. Spend time ensuring you are happy with your answers and that they are tailored for the company. Try and relax and be yourself. Make sure you prepare well for it regarding your skills, knowledge about the company and your engineering knowledge as they will all be tested at the interview. 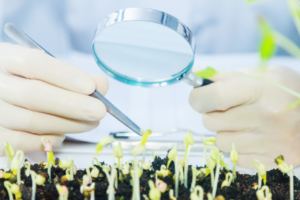 Research what Croda is about as a company, a good place to start would be the annual Sustanaibility reports issued by the company as they show what the company has achieved and is working towards in an easy to read and understand format. They also show you a snapshot of the culture of the company. Be yourself during the interview. Croda assessment centres are not just about the hard facts about chemistry or knowledge you learn from University. A lot of the factors they are looking at during the interview process are meant to show if you are the right type of person that would fit in with the company's culture. And most of enjoy the experience and get as many insights about the company from the people already working for the company. Enjoy it and Be friendly: Croda has a fun friendly atmosphere. No specific advice, but do try and research the company you are actually applying for. Brush up on your technical knowledge. Be concise in your answers. If you get through to the assessment centre, be relaxed and natural...the people I met that didn't get the job were overly pushy and tried too hard to take control. You need to make yourself heard, but don't put others down in the process. Be confident but not cocky. For my interview, I basically had a chat with my interviewer, not sure it was supposed to end up as so informal and afterwards I did think, oops, should've reigned myself in a bit, but it turned out ok.
Make sure you research the company thoroughly before applying as you will be asked a lot about the company. Croda require someone who is booksmart (CV and online assessments) but also someone who fits in well (assessment centre). As long as you've proved that you can do the job by doing the tests, you can relax during the assessment centre. Be personable and lively - it goes a long way. Someone who gets 100% on the online assessments won't get the job if they don't fit in well with the other graduates. Interviews are generally one-on-one and make up one part of the assessment. You can relax as they are generally an HR representative or a friendly member of staff. They want to know what you're like as a person, and if you'd fit in well within the company. 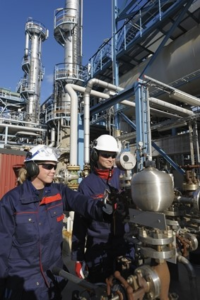 If you are a process engineer, you need to know pumps. Cover all aspects of work and life experience to highlight skills and knowledge you possess. Croda are 100% interested in the person as a whole and not whether they can just do a particular job role. (Of course include job related work experience primarily). What animal would you be and why? Give me an example of being creative? Give me an example of working under pressure? Make sure you know the company background, what areas they work in and where they are based. If you just be yourself and don't try and be cut throat you wil do better. A placement year in industry is highly regarded. It is a three day assessment so enjoy the process. Usually there are a number of spaces available so don't be highly competitive and work with the other candidates. The assessment centre lasts 2 and a half days and tests things such as numerical and verbal reasoning. However, the best advice I can offer is to just be yourself; there are plenty of opportunities during the event to socialise with current employees and gain insight into the company, and if you're relaxed and genuinely interested in the company then it definitely gets noticed. Read up about the company, what it stands for and demonstrate through your answers as to how your experiences and skills will benefit the company. Proof read your answers. Prepare for the assessment by reading up about the company, pay attention during the site tour. Refresh memory regarding previous work/projects done. Think about your answers to the questions and check your spelling and grammar carefully. Before the interview make sure you know what the company makes and make sure you have practiced general assessment centre tests. The company website has a lot of information about what you will do in the role and what markets the company works in. Show your passion for science and technology. Be sociable. Share the companies' 'Vision'. So willingness to learn and build on technical expertise. Dress smart. Be on time. Friendly. Questions- Gives an example when you had to work in a pressure environment and how did you deal with it. Or how did you priorities your workload. Give an example of when you had make a tough decision. I think it's really important to be yourself...if you play a part in order to get a job, the chances are you won't fit in when you actually start. Show a great enthusiasm for the company and their products. Have a couple of examples prepared of a time when you have...E.g. been in a pressured situation and still achieved your results, had to obtain buy-in from a senior person etc. Prepare two different ones for several scenarios, then if you get asked a few questions like this you will have answers ready. Make sure you are yourself at the interview. Chat to the assessors as much as possible and decide if Croda is the right company for you - it has a particular atmosphere where you need to speak up to get interesting projects and involved in activities and you need to buy in to this. There are lots of sections to the assessment centre - you won't be good at all of them! In many cases it's not really the results that matter but how you come across that is important. They know that everyone has achieved academically, thats why you were given an interview. In the assessment centre they are looking to see what type of person you are. Make the application personal to Croda. It is quite a long assessment centre, so just relax and be yourself. -Try to show your strengths. - Explain clearly why you think you could be a Croda's Graduate. -Be yourself and keep calm. -Try to show your strengths and try to work as a team. - Enjoy the 3 days assessment centre. Make sure you research the role you are applying for - Croda provide a detailed list of what is required for different roles online and the website also has loads of information about the history of the company as well as case studies of people who have risen through the Croda ranks. I found this really helpful when I was applying. Be yourself, Croda like to employ 'normal people' with a range of skills. Interview situations are difficult but it is important to show your personality on the day. I found the year I spent in Industry for my degree helped greatly with the application process. I would advise anyone applying for jobs in the chemical industry to try and get some experience, from summer placements to a full year in industry. The interview was a three day process. There were various assessments such as technical test, group exercises, verbal and numerical reasoning tests and one on one interviews. Although there were a lot of different aspects to the interview to fit in over three days, the assessors were very friendly, so I never felt under pressure. There will be current graduates there at the assessment centre, I'd definitely recommend asking them any questions about their roles. Do your research on the company and be yourself. Brush up on your technical knowledge relevant to the role you're applying for. Read up about the company before applying. Be yourself. It´s not a competition with other interviewees but it is rather a test against the company´s acceptance criteria. As well as technical skills and experience; the company is interested in competencies such as teamwork, leadership, etc. Make use of the real life experiences you have had. Be confident. Do your research to make as certain as you possibly can, that this is the right company for you. Therefore have insightful questions to ask at the interview. Have above basic knowledge of technical engineering. Pumps especially!!! In my opinion, Croda are preferable to self-starters so refer to previous working experience where possible. Be yourself, the interview assesses many things over a few days and it is hard to be otherwise. Be honest and enthusiastic. The graduate assessment centre is 2-3 days long, so your real character will shine through over these days. Enjoy the interview and take the opportunity to find out as much about the company as possible to make sure you want to work for them. Participate as much as possible, all the tasks assess multiple skill sets, but are also fun to complete. Be honest in your application as the assessment is not just a straightforward interview. Don't panic if you feel that you have done something wrong as you can often make up for some mistakes in the different areas of the assessment. Try to relax and enjoy yourself. They do like graduates that have some industrial experience whether this be summer or year placements. The interview is over two days and they do pay for a hotel to stay in. The interview is intense but done in a relaxed and friendly environment as you get to know other candidates and interviewers. This makes it very easy to ask questions and find out what you need to know about Croda. Be aware that you could be asked to move anywhere within Europe or the UK when you apply. Research the company and site that you are applying for. Find out what the site produces etc. Be confident when doing tests and interviews. Show your enthusiasm and brush up on the company, its departments and what each business sells. Make sure your ambition shows through in your application. There is a psychometric test to take before the assessment centre, be honest with this. Interview for the grad scheme is a 2 and half day event. There is an introduction to the company and an evening meal with some current graduates, take this opportunity to ask them questions, relax and have a drink. There is a chemistry test which covers some basic organic chemistry and industry related questions, but don't worry about it too much. There is a maths test and a reasoning test, both of which are very standard. There is a grammar test that covers tricky spellings, a written problem-solving assessment, a couple of group tasks and a one-on-one interview. It is exhausting but helps the assessors get a full picture of you. My advice is to not worry if you think you've done badly in one part. There are plenty of opportunities to redeem yourself and show where your strengths lie. Rotational programme means you get to experience a number of different types of roles. Most sites have a real community spirit, making work a more enjoyable place to be. The locations of the sites are not ideal, and many chose to have long commutes over living close the site. Pay is okay but not brilliant. Ownership of projects given and results delivered. Moving around 3 placements as a part of the graduate scheme. It's a good grad scheme where you move around a bit and work on a few different things, often with quite a lot of responsability. The work life balance at Croda is excellent for the vast majority it is a 9 to 5 and you dont take work home. You work hard while you're there but its not many hours and the atmosphere is often quite relaxed. The lab work is probably less repatative than with other companies as Croda do so many different things and people do move between departments. For now Croda are a big enough company to provide security without being overly beurocratic or corperate. The people are nice to work with. Some sites have free lunch with is a large meal usually of good quality, this saves you a lot of money. The pension and share schemes are very good. Chances for foreign work if you like that kind of thing. The location of the sites in the UK aren't great but that's because they're chemical plants. Wages are fair but lower than some other companies per annum but per hour are probably on the higher side, and the pension and benafits compensate for it as well. Well run and successful financially. This means there is lots of investment internally. The focus on innovation also helps drive this investment. As with all larger companies, decisions can take longer than you would like. Although the internal structure is not so large that this is monstrous, it can be frustrating when coming straight from University. Again though this is somewhat of a classic learning curve.